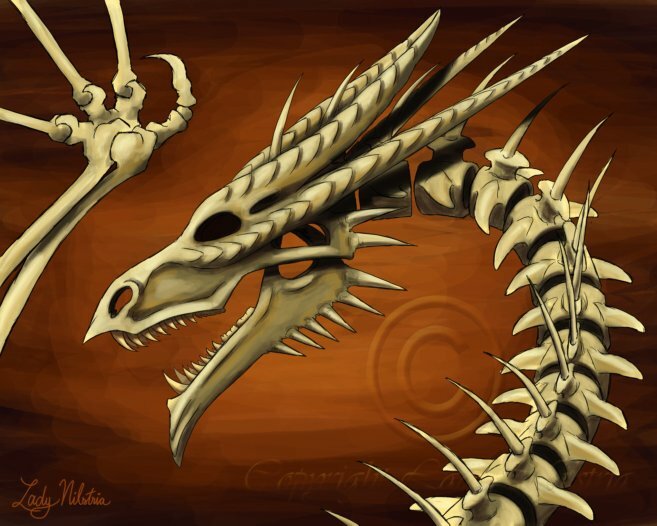 This is the skull and badly rendered vertebrae of a draconic character of mine who isn't actually dead or skeletal. In face, Zetsumei is quite well fed. Though, his face has always presented me with a few challenges, so I brought his skull down to its bare essentials to work it out. For the record, this is the first time I've painted bones.